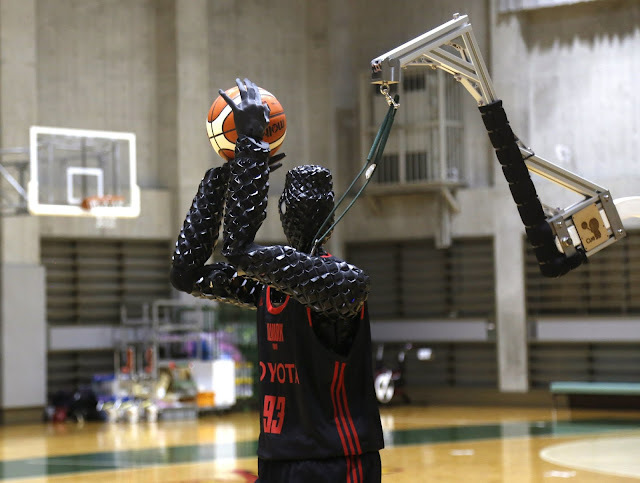 Toyota has created a six-foot, 10-inch robot that can shoot a basketball better than most NBA players. Toyota's Cue 3 robot has been built specifically to shoot basketballs. It has been designed to compute a 3D image of where the basket is, using the sensors on its torso to judge distance and decide on the appropriate amount of power needed to make a perfect shot. The Cue 3's three-point shooting percentage is 62.5 per cent, higher than the NBA's single season record of 53.6% which is held by Utah Jazz's Kyle Korver. Steph Curry, who is widely regarded as the league's best shooter has an average of 43.6 per cent. 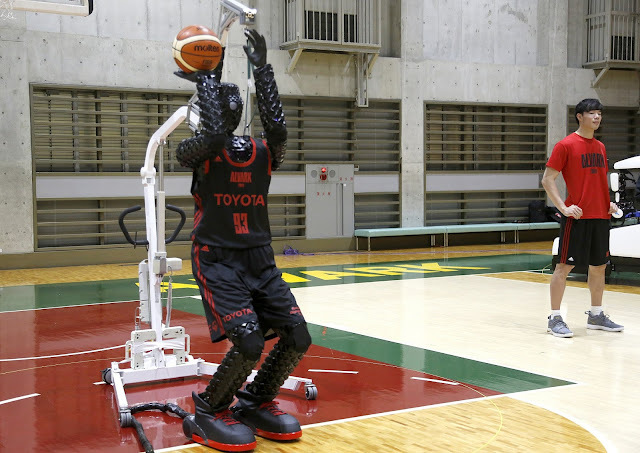 The Cue 3's predecessor, the original Cue robot actually won a shooting contest against two professional basketball players from Alvark Tokyo, from the Japan's B.League. However, NBA players have nothing to worry about (just yet). The Cue 3 cannot run, dribble or pass. According to a Toyota engineer, it would take 20 years for robots like Cue 3 to incorporate skills like running, dribbling and dunking.